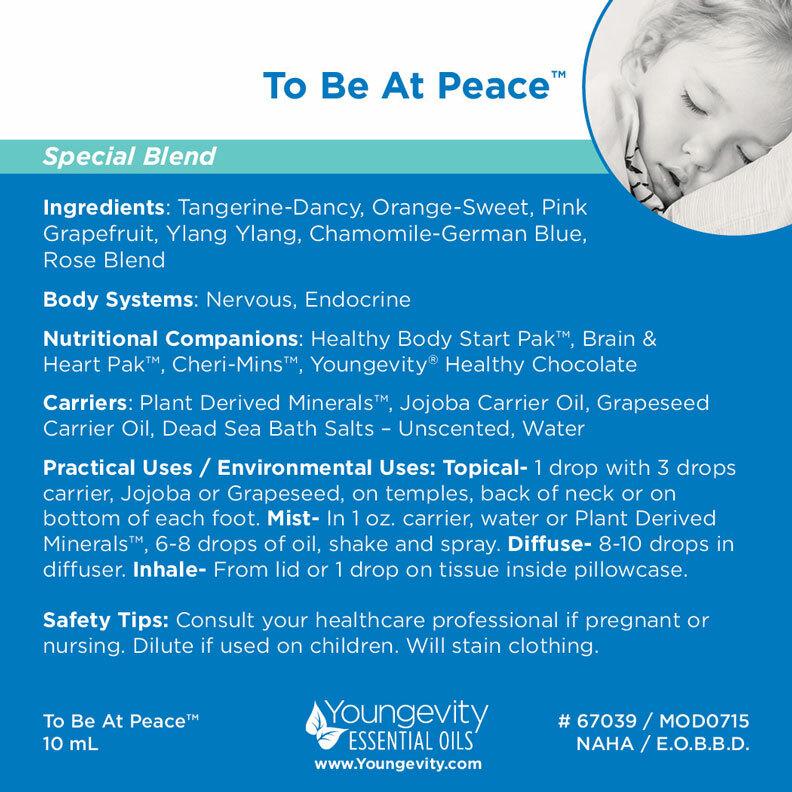 To Be At Peace™ is a powerful blend made with 100% pure, therapeutic Youngevity Essential Oils. This blend contains: Blue Tansy (Tanacetum annum), Grapefruit-Pink, Orange-Sweet, Rose, Rosewood, Tangerine and Ylang Ylang. * DIRECTIONS: Take two (2) capsules 30 minutes before bedtime or as directed by your healthcare professional.